Display user formated name and avatar on your forums with a customized popup and style. Displays a new popup windows with user profile info with AJAX technology. 1.- Displays user formated name. 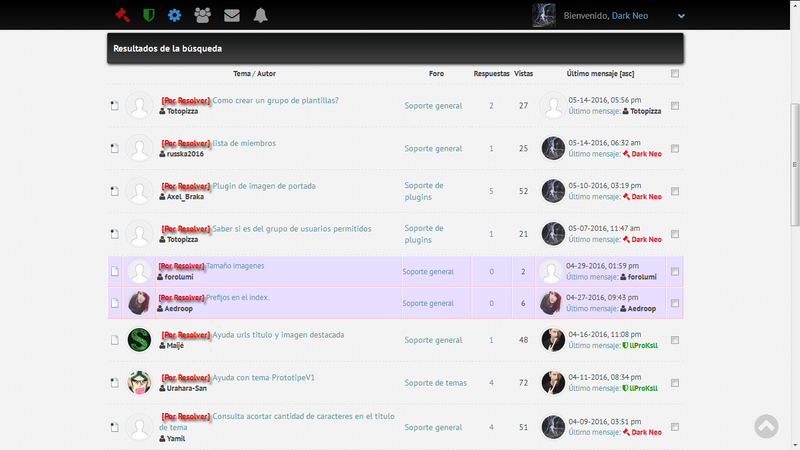 2.- Displays user avatar on threads with owner and lastposter on forumdisplay. 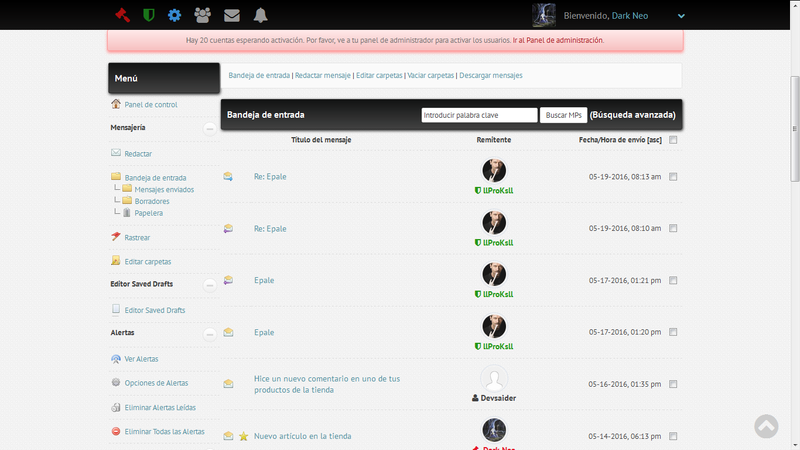 3.- Displays user avatar on index in forum list. 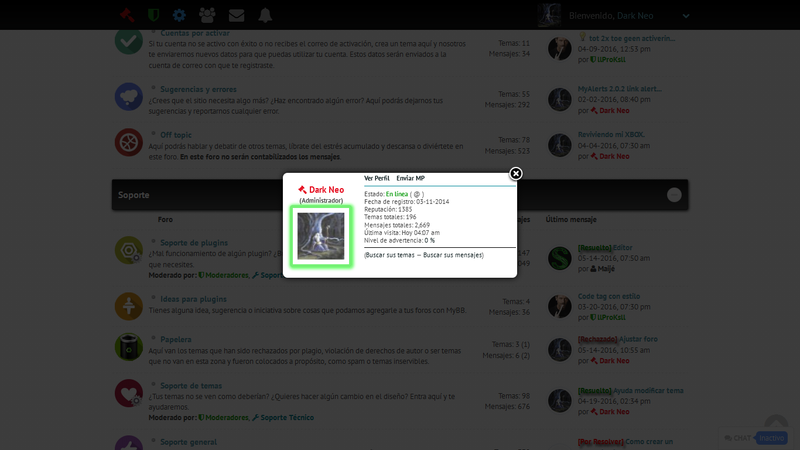 4.- Displays announcements avatar on threalist on forumdisplay. 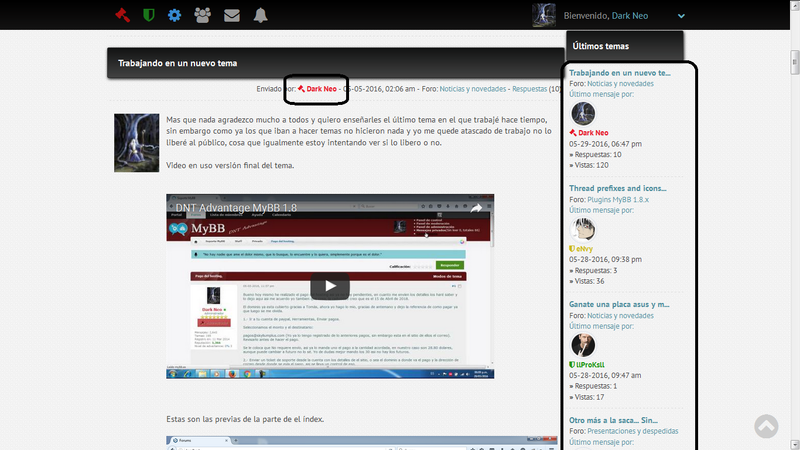 5.- New popup windows with additional and customizable info for every user profile. 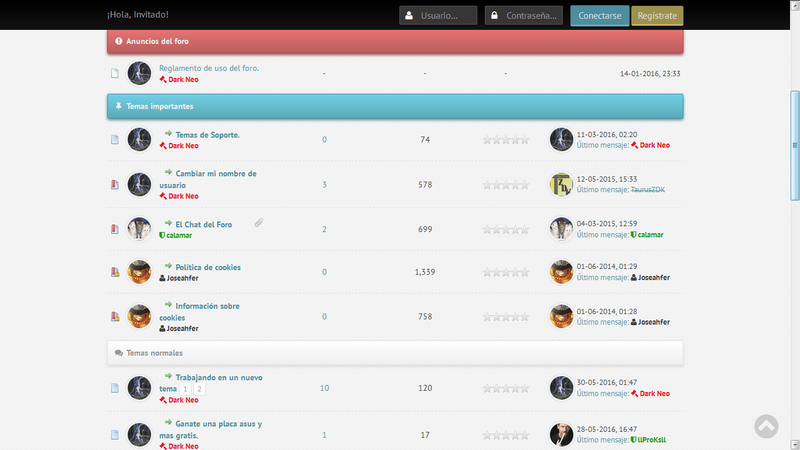 6.- All plugin is customizable and editable for yourself. 7.- You have to ade changes to style as you wish on your forums. 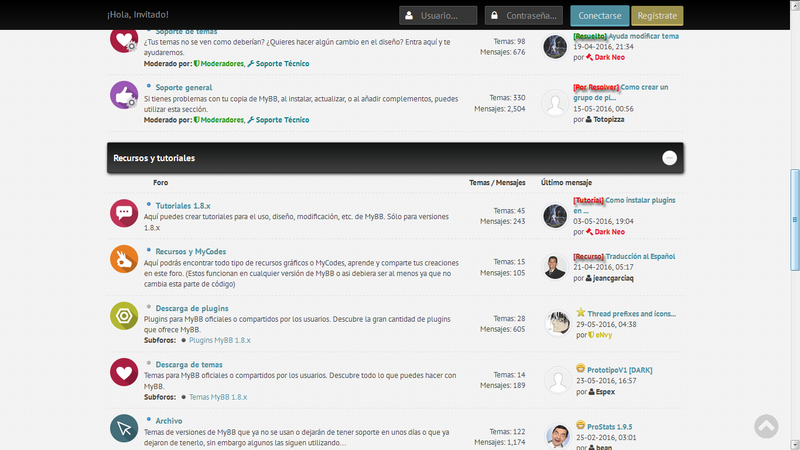 8.- Take moderators and staff on forumlist to make styled usernames. 9.- Shows avatar on private messages. This new version add many features and all options are available to disable/enable every one feature in plugin to use at your own wishes.